Window Shopping: What’s a Shane Greene? ain‘t no changes in me. 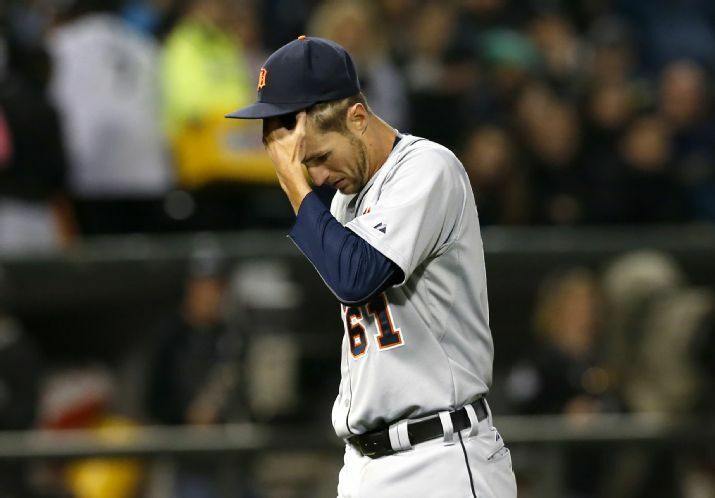 Detroit Tigers fans weren’t sure what to expect out of their new starting pitcher when Shane Greene arrived from New York this past offseason. As I noted in this Tigers season preview, the scouting report on Greene was, to be kind to his prospects, guarded: “an average pitcher — in Triple-A” with a major-league “path for . . . success [that is] very rarely traveled.” He had done moderately well in his fourteen-start rookie campaign, which included two wins– the first an eight-inning shutout– over the Tigers, and the primary question for him entering 2015 was whether he could replicate his success in limited outings across a full season’s worth of starts. After one month of baseball, the answer to that question, like most others at this point in the season, remains outstanding. Greene has made six starts so far, and his performance has been a tale of two sets of three starts. The first three were effective, efficient, and smoother than a cumbersome adaptation of a Dickens reference. He used just eighty-five and eighty-one pitches, respectively, to complete eight innings in each of the first two starts, allowing one run, one walk, and seven hits between the two games. His third start was similar: 102 pitches, seven innings, one run, four walks, five hits. Three starts, three wins. Hope for Greene sprouted in Detroit’s chilly April. The only resemblance Greene’s next three starts bore to his first three was that his pitch count remained under 100 for each one. Unfortunately, the reason for that similarity was the wrong sort of efficiency. He surrendered twenty runs on twenty-three hits in those three games. He barely made it to the fifth inning in two of them, and couldn’t get out of the third inning in the last one. Allowing four runs on a single, a triple, and three walks in one inning will do that to a guy. After three virtually unblemished starts to begin the season, Greene’s DRA has climbed rapidly to 4.26, and the emerging vision of a bright young star has become significantly clouded. What happened? This entry was posted in ALDLAND and tagged banished to the pen, detroit, fangraphs, jeremy lin, lynyrd skynyrd, mlb, shane greene, tigers by AD. Bookmark the permalink.